One great thing about Korean malls are that they have a whole floor dedicated to food & grocery. The food selection is pretty good depending on what mall you are in. I find Shinsegae Mall to be one of the better ones. Branches are in Myungdong and Kangnam ("Gosok-Terminal station). 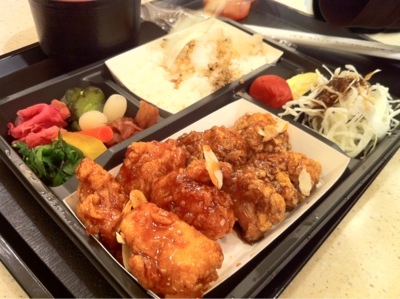 These are bento lunch boxes from Shinsegae mall (gosok-terminal station). It was a pretty tasty meal. I remember the tempura and sides being pretty tasty. If you want to grab a lil of this and that and get a few selection (Korean/Japanese/Indian/Chinese/western) in one meal, you can head to the food court area of the mall (usually the lower floor in the building). It's a bit on the pricier side since most food are "specialized", but the quality will be pretty good. 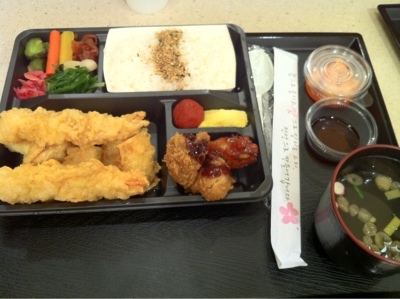 I like to visit the food & grocery area in the malls to get good quality fast food. Don't forget the bakeries and pastry area too! I think the Shinsegae mall in "gosok terminal station" (Kangnam branch), has the best selection for pastry :) Definitely worth visiting! I used to get my share of pastry there from fluffy Japanese cheesecake to macarons.